Diplomacy.co.il is proud to announce, in association with the Spanish Embassy in Tel Aviv and the Chamber of Commerce of Barcelona, the official visit of some of Spain's newest, inovative and most promising companies. The delegation which will be visiting Israel on November 16th and 17th 2010 will be lead by the Chamber of Commerce of Barcelona, and is geared towards importers, distributors and representatives within the Israeli market. Activity: Belts and buckets for conveyor belt elevators, accessories, etc. 2.- FLOWLAB PROYECTOS DE INNOVACION, S.L. Activity: E-Health solutions, Insurance and Pharma companies, home monitoring service, adherence solutions for chronic diseases and advisory and consulting for new E-Health services development. Activity: Strengthener product for agriculture that increases crop production, improves the efficient use of water while protecting against harmful insects and fungal diseases. Binder for clay soils. 4.- MAQUINARIA DE ENVASE Y EMBALAJE, S.A.
Activity: Packing, filing, capping and labeling equipment for liquids without gas. Packing equipment in small doses for powder, liquid or dense products. 5 - MAXCHIEF EUROPE, S.L. Activity: Plastic and metal furniture. The delegation is compiling data and information for the preparation of an Environmental Performance Review of Israel. A delegation of experts from the Organization of Economic Cooperation and Development (OECD) and its member states including Norway, Germany, Korea and the USA has completed its visit to Israel to assess environmental conditions in the country and to compile data and information for the preparation of an Environmental Performance Review of Israel. According to Environmental Protection Minister Gilad Erdan, "The arrival of the mission underlines the importance given by the OECD to the environment and to assuring quality of life in its member countries alongside economic growth. I hope that Israel's Environmental Performance Report will help upgrade the environment on Israel's national priority list." 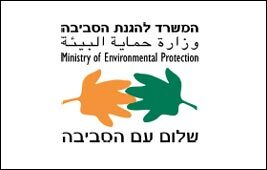 Within the framework of Israel's accession to the OECD , the organization will be preparing an Environmental Performance Review (EPR) of Israel. During the delegation's 11 day visit to Israel, members met with the Minister of Environmental Protection as well as with representatives of government, local authorities, industry, environmental non-governmental organizations, etc. Their visit included field trips to the Hiriya recycling park, the Dan Region Wastewater Treatment Plant and the Hadera desalination facility. Minister Erdan: "Analysis of the report which will be prepared by the OECD will allow Israel to assess its progress in attaining its goals and its international commitments. Its recommendations will serve as a catalyst for promoting our environmental performance." The report will review Israel's environmental performance, with special attention to the use of economic tools for tackling environmental issues, including, among others, energy and air quality, transport and the environment, tourism and the environment, coastal zone management, the national greenhouse gas registry and reporting system, water, biodiversity, noise, waste and recycling, etc. The report, which will be submitted to the government of Israel, will include conclusions and recommendations as well as a timetable for implementation designed to improve Israel's environmental performance. The OECD will formally follow up on Israel's progress in implementing its recommendations. The Director General of the Ministry of Environmental Protection, Dr. Yossi Inbar, said: "This comparative assessment and the EPR process itself are an opportunity to review Israel's environmental performance in different subject vis a vis the existing knowledge worldwide. These tools will also allow us to contribute of the wide range of knowledge which exists in Israel in fields in which we are at the forefront." Biodiversity in Israel - scientific data, information on open space, policy tools and Israel's National Biodiversity Plan, which was published in 2010. Examples of technological innovation in industry in Israel and the diversity of tools used to encourage innovation. The Clean Air Law and preparations for its entry into force in January 2011. The waste revolution and the introduction of extended producer responsibility on packaging spearheaded by the Ministry. Treatment and recovery of wastewater in agriculture, a field in which Israel is an acknowledged world leader. Desalination in Israel and measures taken to address the environmental aspects of desalination. Israel's active participation in international frameworks such as the Mediterranean Action Plan (MAP), cooperation on high production volume (HPV) chemicals, etc. Background material on local environmental activities such as community gardens. River rehabilitation in Israel and the chain of parks. Wide-ranging data on air quality in Israel, water quality, Sea of Galilee, etc. An Environmental Performance Review is prepared by the OECD for member countries every few years, in order to improve the environmental performance of these states and to create a comparative index among OECD members. Furthermore, the report promotes a continuous policy dialogue among member countries through "peer learning" and stimulates a greater accountability from member countries' governments toward public opinion. Tourism Minister: "Conference is important vote of confidence in Israel’s position as an economic leader." 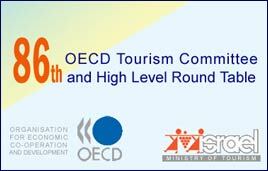 The 86th Session of the Tourism Committee of the OECD opened today in Jerusalem, hosted by Israel's Ministry of Tourism. This is only the second time in its history that the Committee meeting is being held outside of Paris. The Conference was opened with an address by the Minister of Tourism Stas Misezhnikov, who described the event as an ""important vote of confidence in Israel's position as an economic leader," and continued, "this is an exceptional occasion for the State of Israel as we are today inaugurating the first historic OECD event taking place in Israel." The Minister further said, "The OECD brings together governments of countries committed to democracy and to the market economy from around the world. This conference will therefore offer an ideal setting where we have the opportunity to exchange knowledge and know-how. In the tourism field, we realize our magical ability to build bridges between nations, societies, civilizations and cultures, and this conference will enable us to jointly work towards realizing those objectives." The first OECD event to take place in Israel since the country became an official member of the organization, the session welcomed high-level delegations from 28 OECD members. The conference opened with a closed-door session of the Tourism Committee, and will be followed by a high-level roundtable, devoted to issues of green tourism and the role OECD member nations have in promoting environmentally-friendly initiatives particularly in the hotel and aviation industries. Israeli business leaders and economists will be in attendance for the Roundtable and a team of academics from the University of Haifa and the Sorbonne will present research detailing the travel industry's impact on the environment and new directions the international community can take to limit its damage. Shalom & welcome to you all at the opening of the 86th Session of the OECD Tourism Committee usually held in Paris and for this time in Jerusalem. This is in fact an exceptional occasion for the State of Israel - we are inaugurating here and today the first historic OECD event taking place in Israel. In today's interdependent economy, we face the challenge of supporting sustainable economic growth in a borderless financial world, bearing in mind that we must boost employment and raise the living standards. The OECD, which brings together governments of countries committed to democracy and to the market economy from around the world, offers an ideal setting where we have the opportunity to exchange knowledge and know-how. In the tourism field, we compare policy experiences, seeking for answers to common problems and identifying the good practice. In the frame of the OECD, we, the Member States, carry out analyses and forecast of our policies and strive to coordinate their implementation at the domestic and international level. The OECD was established in the wake of World War II in order to implement the Marshall Plan. Today the organization counts 32 market economy democracies formally collaborating with 70 developing and emerging economies. It is a successful framework transforming the approach and relations between nations and a raw model for our region where a stable and strong economy would benefit all the inhabitants. Moreover, dealing with tourism, our field of expertise, we realize our magic ability to build bridges between nations, societies, civilizations, cultures - in other words, facilitate the voyage to the other, meeting him in his environment permitting to develop beyond expectations the human social dimension. Based upon stability and common interest, cities like Jerusalem and Bethlehem are cooperating for the well-being of thousands of visitors, daily crossing from Israel to the Palestinian Authority and vice-versa, benefiting the citizens of those cities. I am confident that this tourism dynamism will spread and we can anticipate the combination with other localities like Jericho joining in that form of cooperation. Among international organizations, the OECD is the strongest, most effective proponent of open, competitive innovative market economies. Through its pioneering public policy research, and effective approach, involving the public and private sectors, the OECD is a dynamic international incubator for new ideas. In the course of this Session, the peer review of tourism in Italy will be presented – a concrete lesson for all of us from a leading country in the field of Tourism. Our professional team at the Ministry of Tourism will initiate a special meeting with the Italian delegation in order to make best use of the study of the Italian experience undertaking an appropriate analysis of the strengths and weaknesses in our systems. We will be focusing in the three forthcoming days on the professional agenda of tourism. The OECD's economic analysis and surveillance is recognized among the best in the world. It fixes international standards supported by the public and private sector. This is an adequate forum where listening to each other permits to project for the future and do best for the international industry of tourism. This regular session of the tourism committee will be followed back-to-back by a High Level Round Table fostering on "Green Tourism". We will have the opportunity of being addressed by academics in an innovative research, leading figures from the industry and prominent economists. Our keynote speakers, Dr. Taleb RIFAI, the Secretary General of the UNWTO, Mr. Aart DE GEUS, Deputy Secretary General of the OECD and Prof. Stanley Fisher, the Governor of the Bank of Israel will enrich our unique encounter here in Israel. Just to mention, that the governor of the Bank of Israel, is one of the architect of the solid economy of the State of Israel which overcame in good terms the last world crisis. In 2009, close to two million seven hundred thousand visitors entered Israel. As we know, due to the global economic crisis, the year 2009 opened on a difficult trend. We adopted and implemented a new concept positioning Israel in its exclusive tourist particularities focusing on History, Culture and Religion. At the same time we maintained the interest in the other leisure elements. Beginning from May 2009, we started to benefit from this new policy, the trend changed and we will be concluding the year 2010 with close to 3.3 million tourists - a remarkable increase of more than half million tourists. Concerning our hotels infrastructure built on close to 48 thousand rooms, we noted a high level of occupancy along the year. Israel is positioned today as a destination in the general market offering culture and discovery, leisure and fun preserving the particularities of our sites. The religious and historical heritage of Israel and our region, cradle of the monotheist civilizations and cultures, belongs to the world collective memory. The advanced infrastructure of Israel permits to tour and discover the country in comfort from the green and serene Galilee to the inspiring desert of the Negev, from the trendy and hi-tech Tel Aviv to the spiritual and cultural Jerusalem, leisure and fun in Eilat and magic facing the Sea of Galilee from the city of Tiberias. The Dead Sea – the lowest place on earth - is competing as an international site on behalf of Israel, Jordan and the Palestinian Authority against 27 other natural sites around the world in the finals of the New 7 Wonders of Nature global campaign. Another productive area of cooperation. Out of the basic values that our region contributed to the world modern society, tourism transmits reciprocate openness, constructive dialogue, recognition of each other and tolerance in mutual respect. Dear guests, accept on behalf of the State of Israel and the Ministry of Tourism, our most welcome and warmest shalom here in Jerusalem, City of all memories.